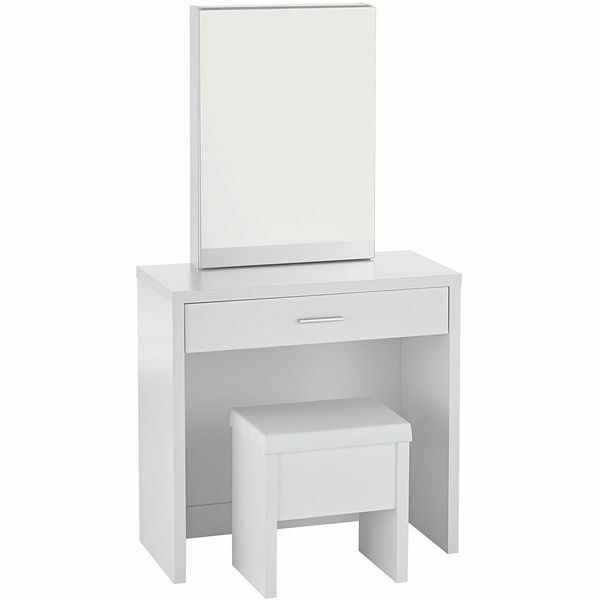 Simple and to the point, the 2-piece Vanity Set with Hidden Mirror Storage and Lift-Top Stool White is a minimalist vanity set that offers plenty of functionality without detracting from your modern decor. The set features a mirror that rests on top of the vanity with a drawer beneath it for organization of smaller items. Treat yourself to the ultimate makeup table and keep your room looking tidy with the Nexera Allure Vanity with Storage in Ebony and White. This modern design closes to keep cosmetics and hair accessories concealed and allows the unit to double as a writing desk. A mirror is mounted right on the inside of the lid, so there’s no need to install one on the wall. Take modern minimalism to a new level with the inclusion of the 7-Shape Cedar Falls Modern Vanity Pedestal Sink. The pedestal sink features a rectangular bowl with a curved base that sits out from the wall. The included medicine cabinet features a mirror on its exterior. back of the pedestal is open, plumbing parts can be hided behind the pedestal. 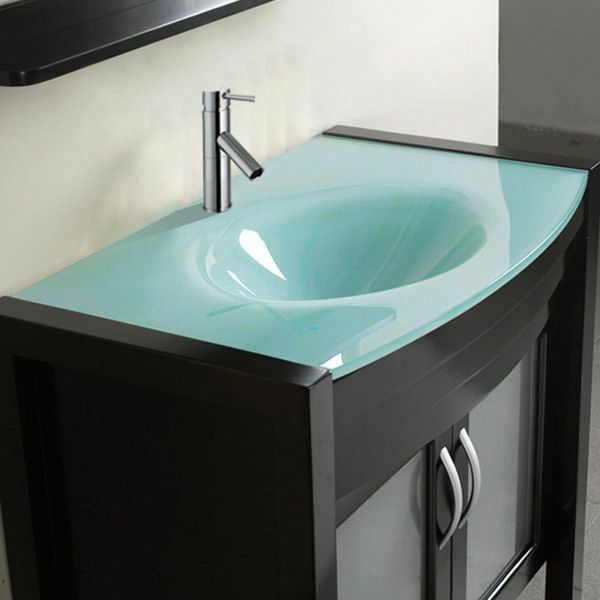 The 23-Inch Modern Tempered Glass Bathroom Vanity looks like a sleek work of modern art in the bathroom with its gorgeous tempered glass counter top and matching vessel sink. The solid oak wood pedestal completely disguises the plumbing, and there is a handy chromed towel rack mounted on the front. 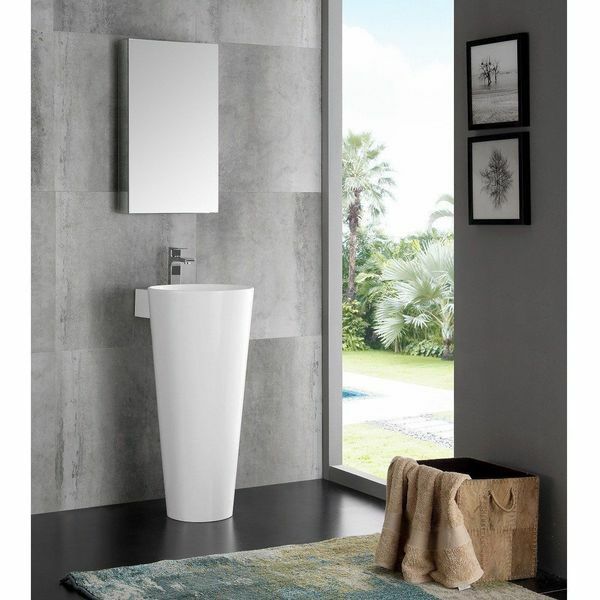 Give your bathroom a simplistic and modern appearance with the inclusion of the Fresca Messina 16″ White Pedestal Sink with Medicine Cabinet. 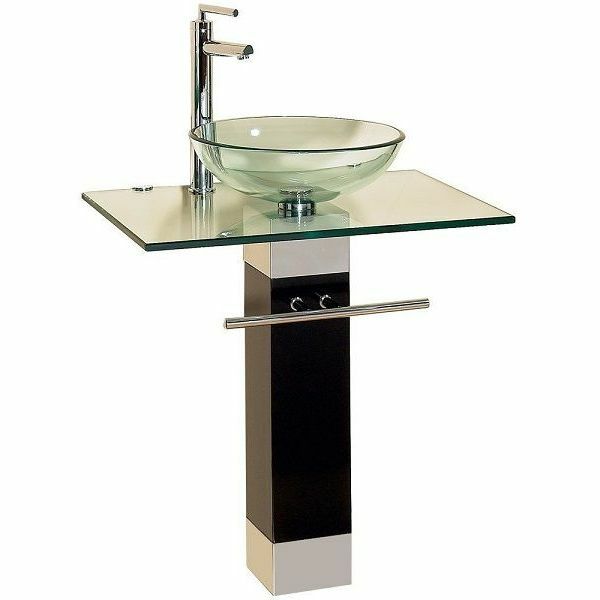 The vanity features a conical shape and a rounded sink on top. Above the sink is a wall-mounted, mirrored medicine cabinet for your convenience. 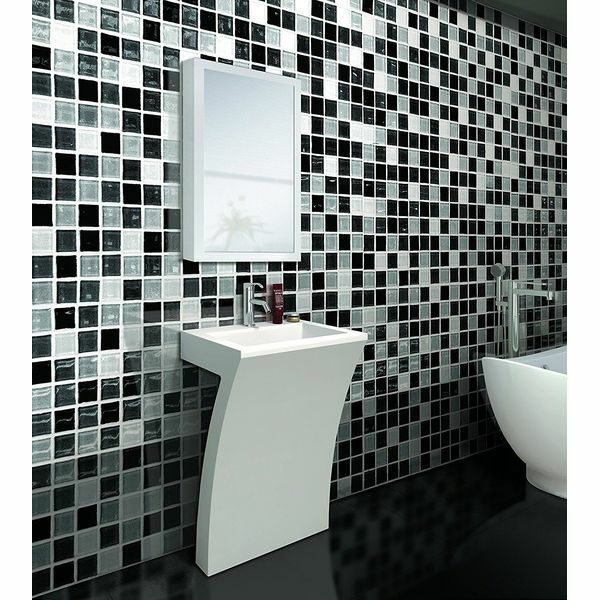 Brighten up your bathroom with a pop of color while still keeping the look of the room completely contemporary with the Belvedere 36″ Modern Single Sink Bathroom Vanity Set with Mirror! The robin’s egg blue glass counter top and sink is perfectly complicated by the dark finish on the solid oak wood vanity.